There have been hundreds of Marvel characters introduced in the comics over the years, and it seems like almost every last one has showed up in Hasbro’s Marvel Legends figure line. 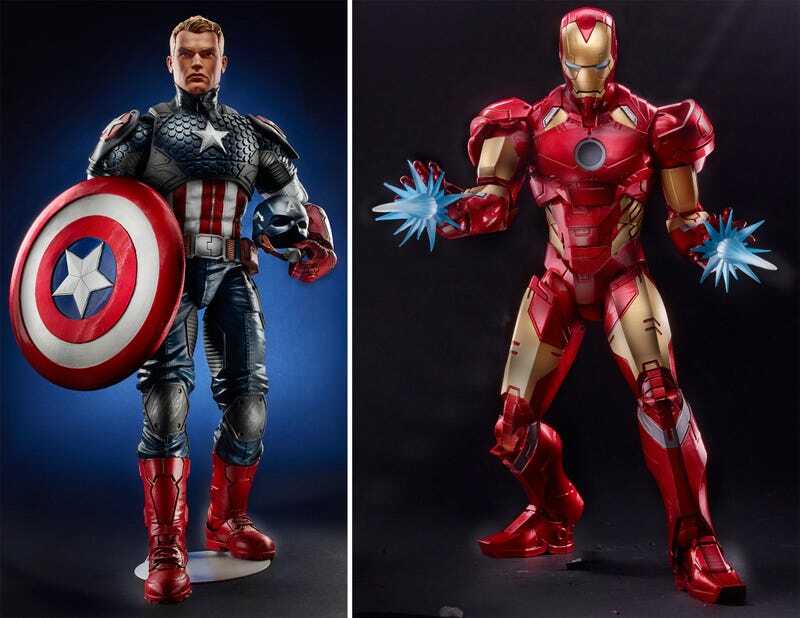 But you can only squeeze so much detail into a three or six-inch figure, which is why Hasbro is now supersizing its Marvel Legends line to 12-inches. Available later this year in the fall, we’re going to assume the new Marvel Legends 12-inch line is Hasbro’s attempt to compete with toymakers like Hot Toys who’ve been creating incredibly detailed foot-tall figures for years now. But while the new Marvel Legends line, starting with supersized versions of Captain America and Iron Man, will also come with alternate heads, swappable hands, and multiple detailed accessories, they won’t come with the $300 price tag that Hot Toys usually charges for its figures. Hasbro’s new 12-inch Marvel Legends figures will each sell for a comparatively reasonable $50, making it slightly easier and more affordable to collect every last one as Hasbro inevitably adds to the line.